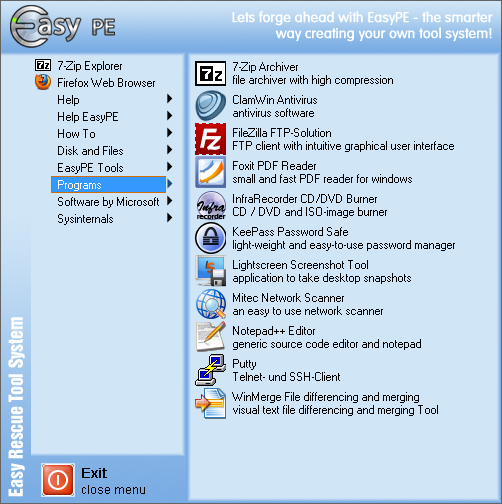 After starting the PC by the Easy Rescue Tool System and your agreement to the EasyPE license terms the navigation button Start will appear on the left-hand side at the bottom of the screen. All integrated programs which are running in the Easy Rescue Tool System can be started in the just opening menu which will appear by clicking the navigation button Start. If you plug the USB-Stick which is supplied with the EasyPE package the operating system starts the menu navigation by the autostart function AutoPlay. 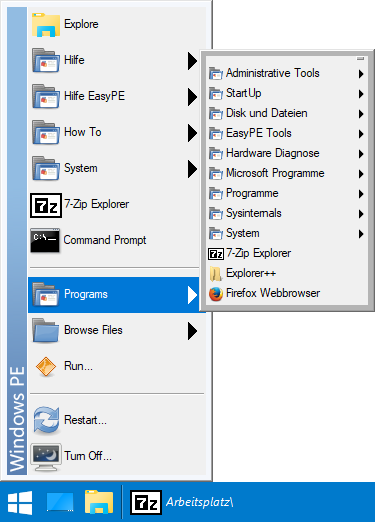 After your agreement to the EasyPE license terms the navigation button GO will appear in the Systemtray on the right-hand side at the bottom of the screen.